We thought Sarkodie’s diss song to Shatta Wale, ‘My Advice’ had only outshined Shatta’s ‘Mind Made Up’ music video as the A-list artiste dropped his freestyle diss song 5 minutes after Shatta Wale released his. His diss song has gone viral, garnering more than 229k views on Youtube alone, with more than 700,000 audio downloads on several music blogs in Ghana, Nigeria, and other African countries. 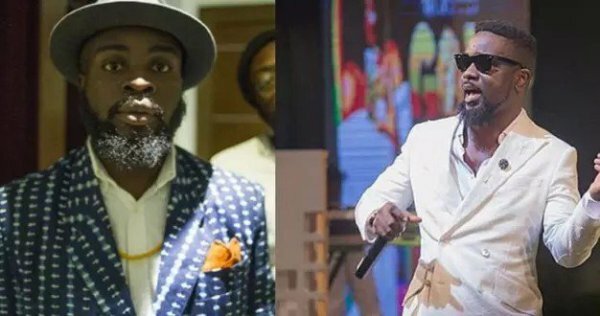 Several rappers and celebrities have applauded Sarkodie after dropping the song. Unfortunately, Sarkodie’s ‘My Advice’ took away Manifest’s shine as he had also dropped a new song same day featuring Olamide and it’s obvious the media’s attention has shifted to Sark’s ‘My Advice’. Manifest who was hoping to get some hype from his new song even admitted that, Sarkodie’s ‘My Advice’ has harmed the song’s hype. He tweeted with the ‘I’m Dead’ emoji in there with a hashtag of the title of the song “Fine Fine”. Also, with that “I’m dead” emoji in there, Manifest is expressing his dissapointment as his track couldn’t get the hype because of Sark’s ‘My Advice’ tune.